There will be some interesting food available at the Calgary Stampede this year. It includes deep fried donut bacon cheeseburgers and crocodile patties, which aren’t that weird. I mean, I’ve eaten all these things – donuts, bacon, cheeseburgers, crocodile meat (unless it was alligator meat…It was a soul food restaurant. 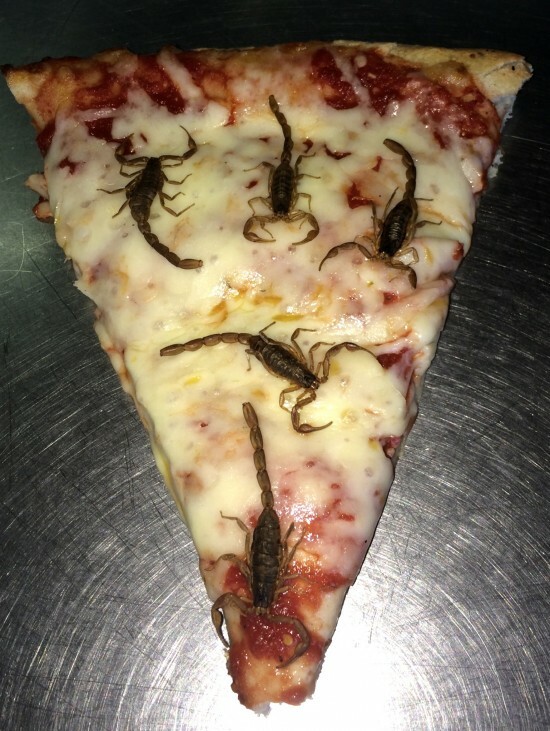 I forget) but the scorpion pizza? That’s a little weird. Not for cultures where bugs are a regular dietary feature, no, but it’s weird in my house, where arachnids are cause for screaming, not mouth watering. See more Stampede food at the CBC.